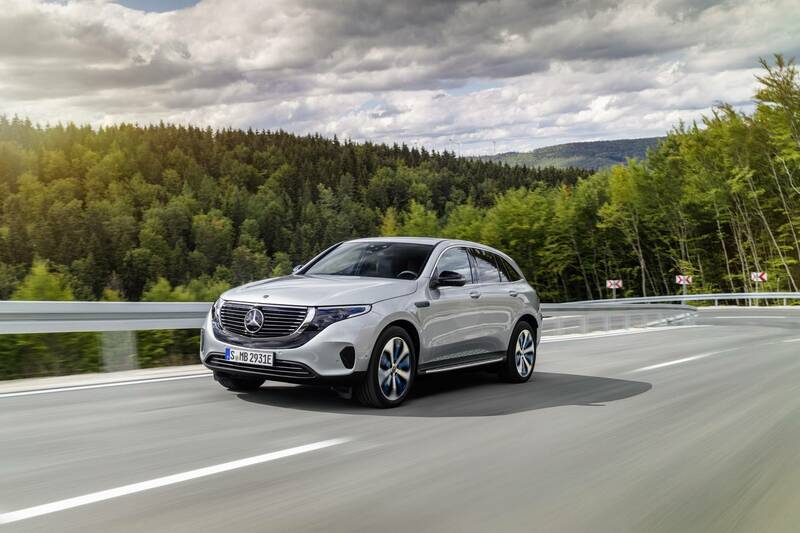 Mercedes-Benz is lifting the curtains on a new era of models tonight with the launch of the brand new Mercedes-Benz EQC. 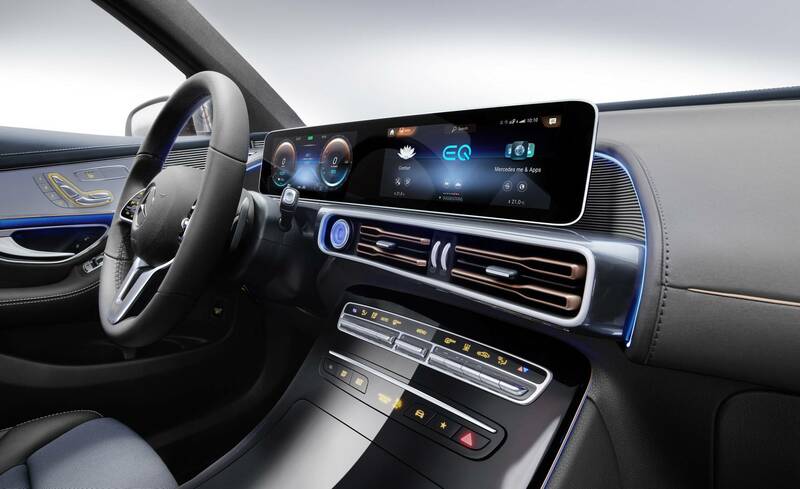 The EQC is the first model from the German manufacturers EQ brand which stands for ‘Electric Intelligence’. 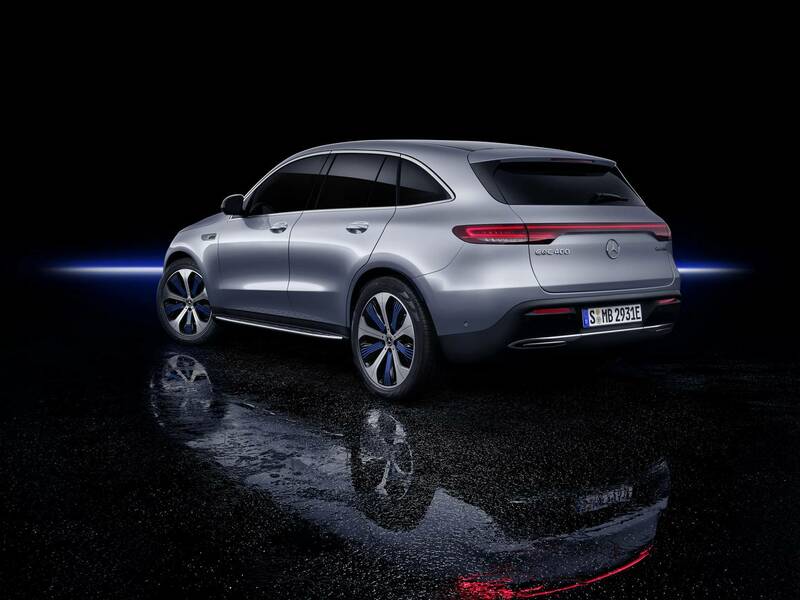 As you will probably have guessed, these vehicles are the first mass production, full electric models to come from the Mercedes-Benz brand. 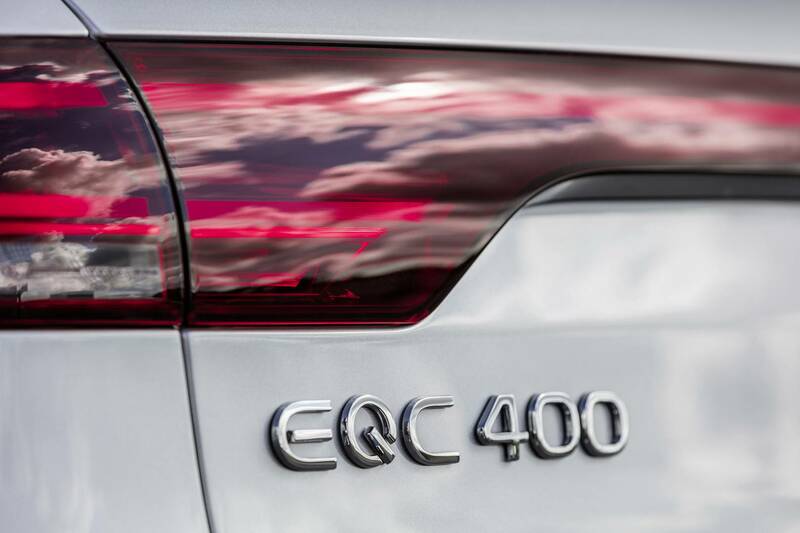 As you can see from the photos, the EQC vaguely falls under within the SUV bodyshape. It is the designed from the ground up to be an electronic model. It gets large black panel surfaces which highlight the front facia. The rear gets a lightbar which extends all of the way across the back of the SUV. The rear bumpers look surprisingly stark, in-keeping with the minimalist look we have come to expect from EV vehicles. Otherwise, the fuel filled cap is found in a familiar location and the design even features a set of gills at the side. 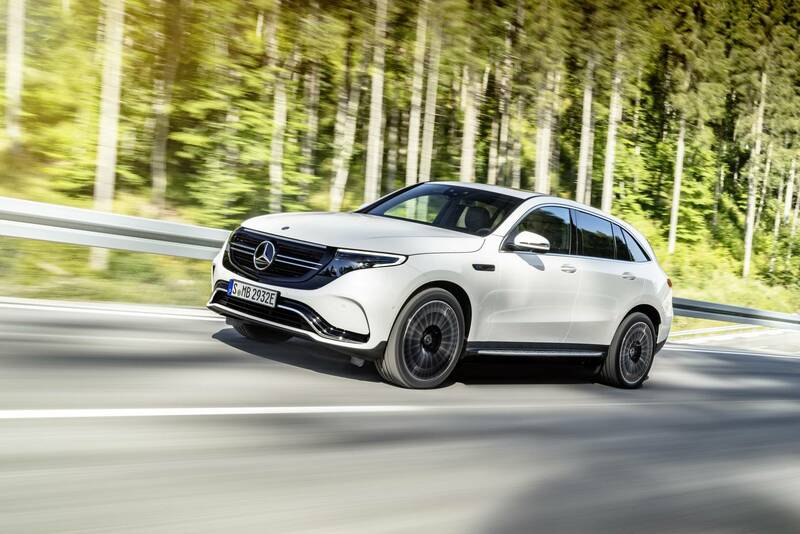 In all, it isn’t that different from the familiar styling of other Mercedes-Benz SUV’s. 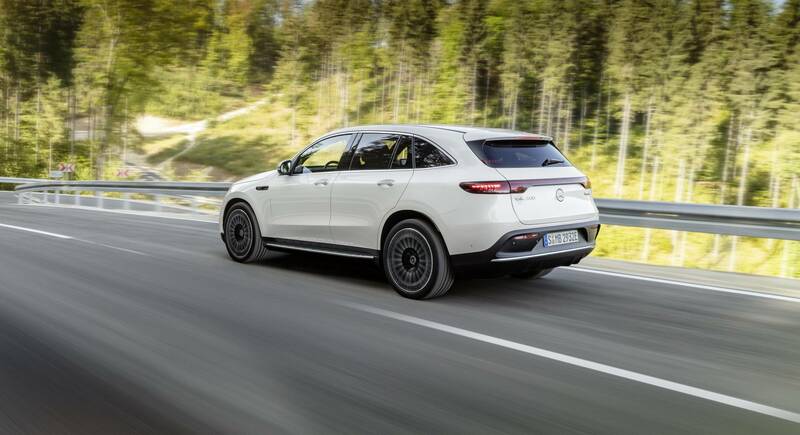 Under the bodywork sits two electric motors, one on the front axle, the other on the rear axle. 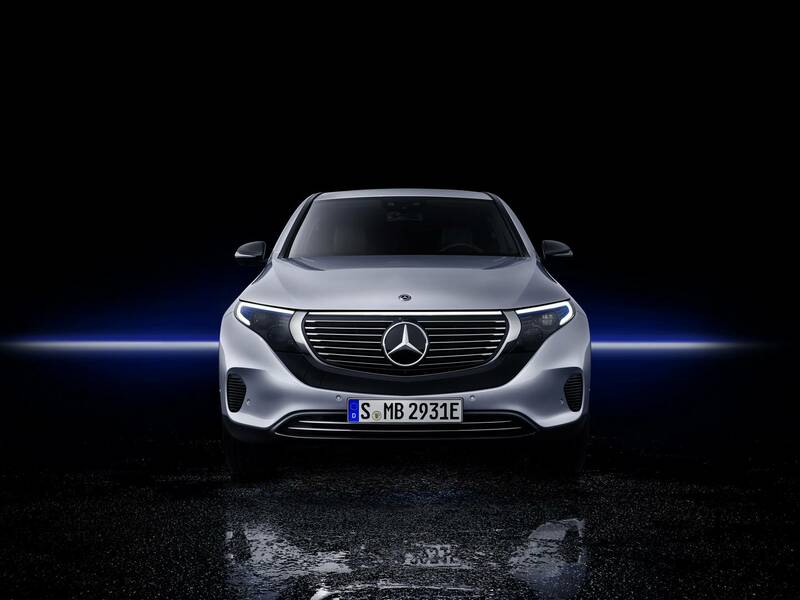 Together they produce power of around 300 kW, approximately 400 hp. 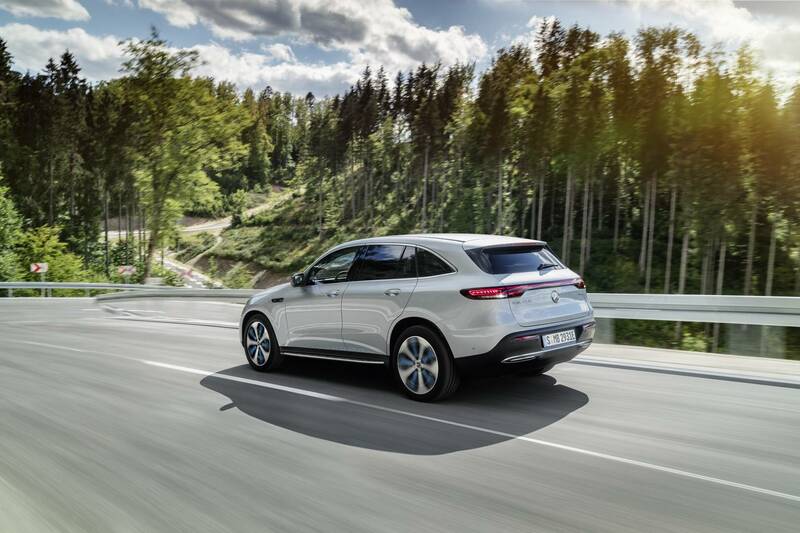 The EQC is capable of travelling around 450 km with a full charge which should make sure it is useable day-to-day. 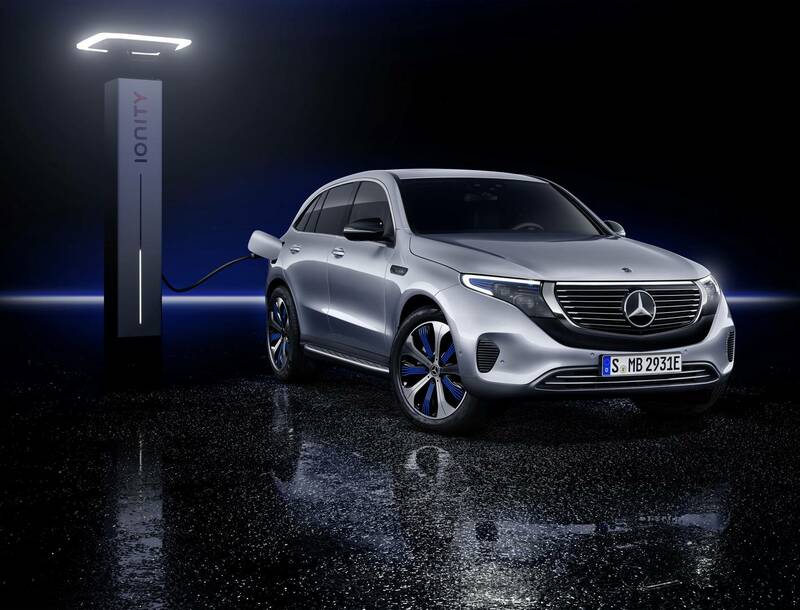 The power is stored in an 80 kWh lithium-ion battery which takes around 40 minutes to charge to 80 percent. 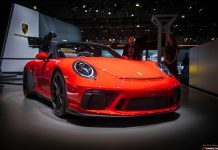 Power is delivered instantaneously and torque is said to be in the region of 765 Nm. 0 to 100km/h takes 5.1 seconds and the top speed is 180 km/h. To minimise the disconcerting noise that comes from an electronic powertrain, Mercedes-Benz fit rubber mounts are two points on the sub frame. The EQC should therefore achieve class leading sound isolation. 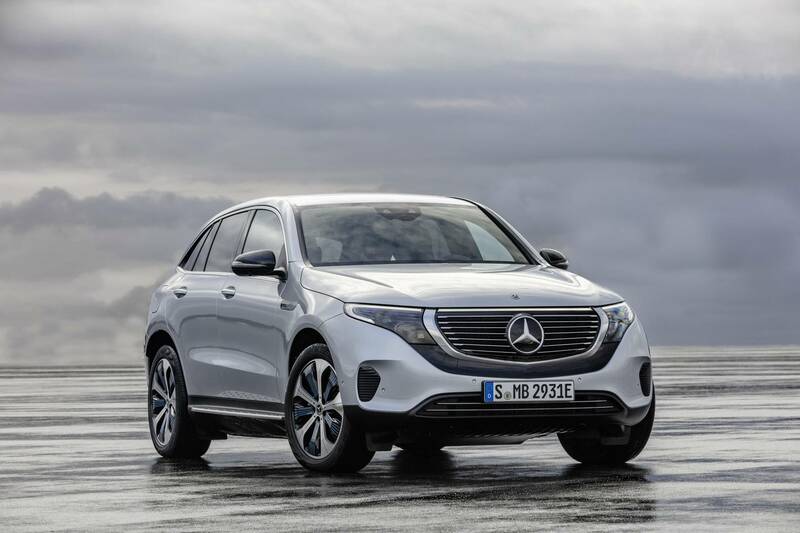 Mercedes-Benz have also worked five driving programs into the powertrain, each with different characteristics: COMFORT, ECO, MAX RANGE, SPORT and an individually adaptable program. 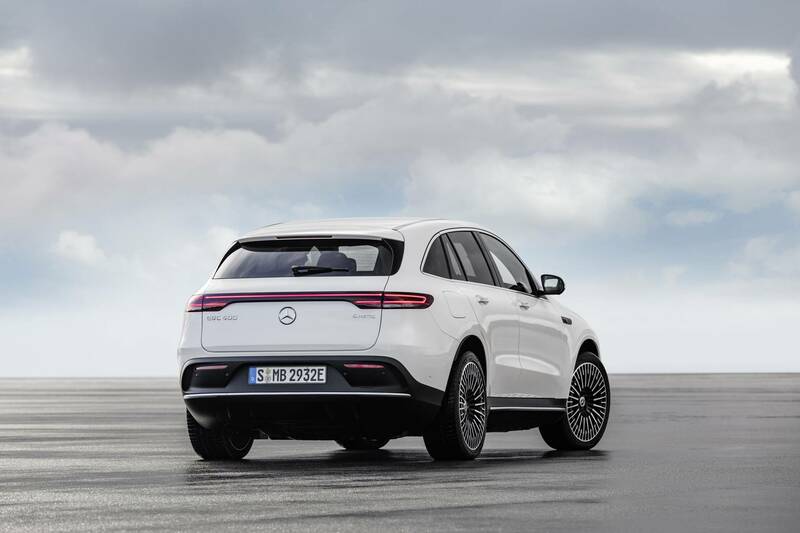 The EQC will get MBUX (Mercedes-Benz User Experience) which gives details on the EQ functions, including range, charge, energy flow. 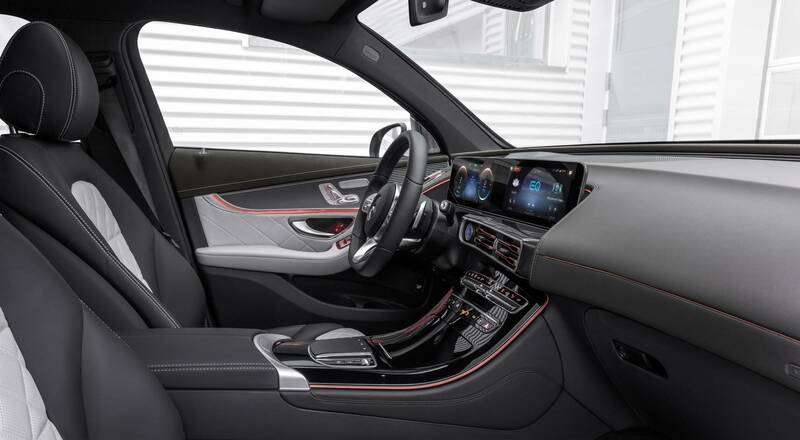 It also optimises the navigation system, driving modes and charging current around the powertrain if required. 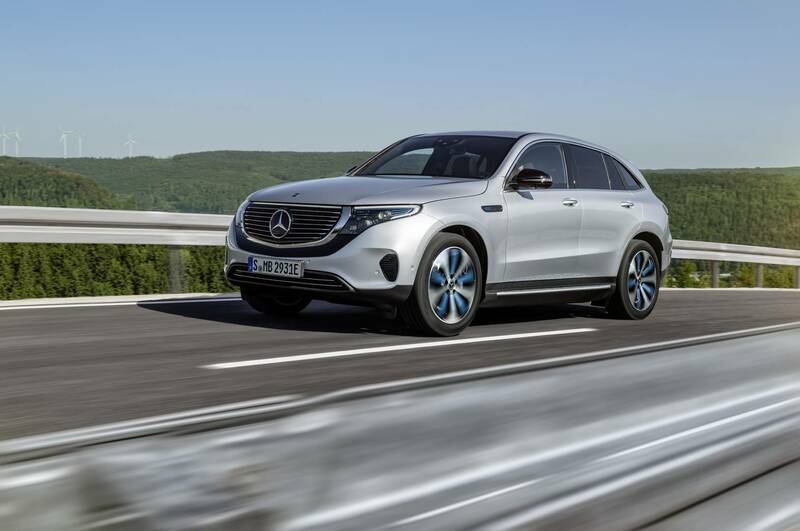 As with most Mercedes-Benz models, the EQC is not short on technology, a pre-entry climate control is available together with a range of Driver Assistance packages. 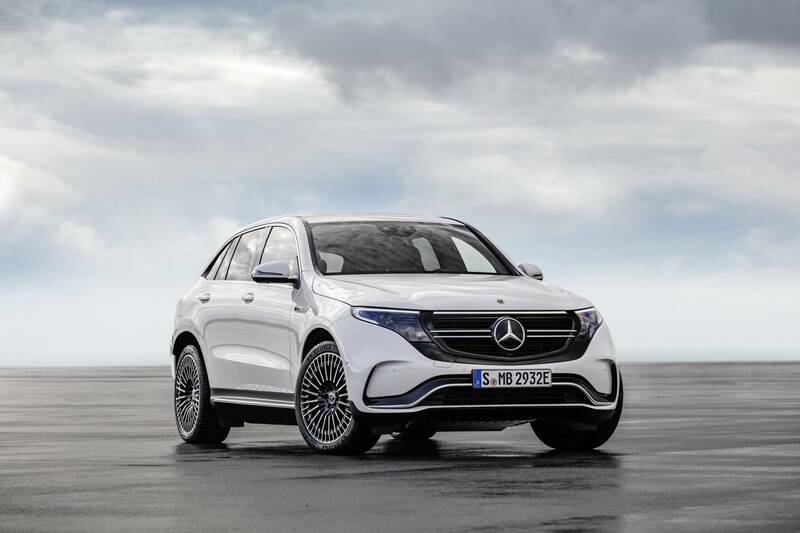 Mercedes-Benz have been testing 200 prototypes for quite some time so, by the time production versions land on driveways in 2019, the technology should be fully sorted. 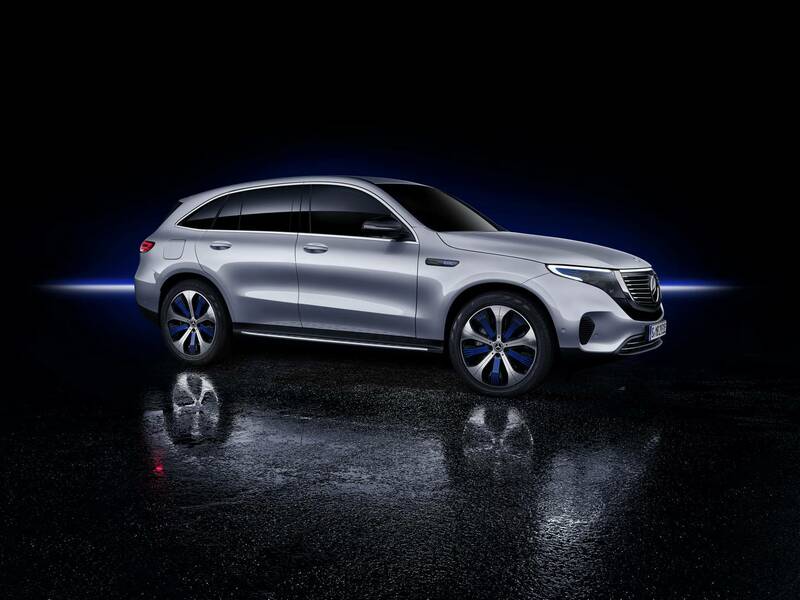 There are also plans to offer the model in China. Pricing and availability are yet to be announced.